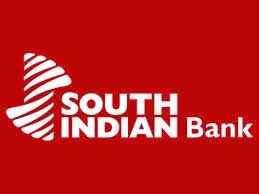 South Indian Bank Recruitment 2015: The South Indian Bank(SIB) is released the recruitment notification for Probationary Clerk(PO). This recruitment process is only applicable for Tamil Nadu(TN) and Pondicherry only. Total number of vacancy is 100 candidates. People those who interested and eligible can apply through the official website www.southindianbank.com. To know the more details such as application form start date, last date for online registration, written examination date, model question paper, study material, syllabus etc just refer the below information. This recruitment notification is only applicable for candidates in Tamil Nadu and Pondicherry State. The education qualification for PO post is minimum 60% in 10th standard and 12th standard and 60% in graduation(All 3/4 degree). Candidates not less than 20 year old and not more than 26 year old on 31st December 2014. Candidates should born after 1.1.1989 and 1.1.1995 are only eligible to apply. The age relaxation(five year) is available for SC/ST candidates. Candidates will be short listed based on the performance in the online test conducted by the South Indian Bank followed by personal interview. After selection first 6 month is probation period. Confirmation will be based on performance during the period. Candidates must log on to official site www.southindianbank.com. You can only apply through 18.2.2015 to 23.2.2015. After log in enter applicant name, address, qualification, age limit, recent photo, father name etc. Pay the payment through offline or online mode. Finally, submit your filled application form. Online Registration start from: 18th February 2015. Online Registration end on: 23rd February 2015.